David Proaño is an advocate for his clients before federal and state trial and appellate courts, bankruptcy courts, arbitration panels, and regulatory agencies. David approaches each matter with a commitment to the client's objectives. He combines candid advice, meticulous preparation, exceptional writing skills and powerful advocacy to achieve the best possible outcomes for his clients. David has a proven track record representing clients on matters involving a wide range of commercial disputes, including fraudulent financial transactions, electricity and energy contracts, regulatory matters before the Public Utilities Commission of Ohio (PUCO), steel supply contracts, tier 1 automotive supply contracts, lease agreements, property easements, insurance coverage, banking regulations, structured finance transactions, environmental liability, professional misconduct and breach of fiduciary duty. David also advises clients in the energy industry on regulatory compliance matters, including Ohio’s retail electricity markets and regulatory proceedings before the PUCO. In addition to an active trial and regulatory practice, David devotes considerable time and effort serving the Cleveland community. He recently served as the president of the board of directors of Esperanza, a nonprofit organization that supports Hispanic educational achievement through scholarships and mentoring. Crain's Cleveland Business recognized David as one of its "Forty Under 40" for his professional accomplishments and community service. David was born in Quito, Ecuador, and is conversant in Spanish. Successfully represented steel manufacturer in administrative trial before PUCO involving demand by a large electric utility company for millions of dollars in security on a commercial electricity supply contract. PUCO not only found in favor of the client, but mandated a review by the electricity utility of its policies and procedures. Regulatory counsel to competitive retail electricity supplier in Ohio, with experience advising client on all aspects of retail electricity marketing and sales in the state and compliance with PUCO regulations. Litigation counsel to large national energy company pursuing and defending environmental and administrative claims in different forums, including before Ohio Environmental Review Appeals Commission and state courts. Lead counsel for Chapter 7 bankruptcy trustee of a $225 million financial fraud in more than 100 cases involving claims for actual and constructive fraud claims and contract claims. Successfully defended a Fortune 500 company in an appeal involving environmental cleanup claims and novel issues of state environmental laws. 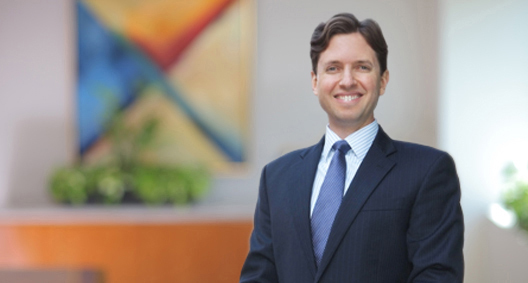 Successfully represented a Chapter 7 bankruptcy trustee of a $225 million financial fraud in a bankruptcy court trial involving lease obligations and setoff claims for legal services. Successfully tried a property dispute in state court through trial. Obtained declaratory and injunctive relief in favor of the client and defeated subsequent efforts to stay the judgment pending appeal. Successfully defended national insurance company facing class action claims, securing a complete dismissal of the class action allegations through proactive motion practice. Nonprofit based in Cleveland that seeks to advance the educational goals of Hispanic youth through programs and scholarships. Counsel to local non-profit seeking to advance Hispanic businesses and initiatives in the Cleveland community. Worked with rural farmers in the Dominican Republic prior to law school.